Cycle 16 is getting dead boring. 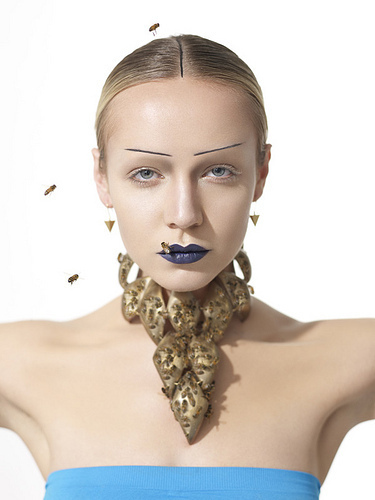 Odd and boring photohoots - are they like out of budget?! ﻿And I don't see anyone who can deserve to be on Vogue Italia. Perhaps Hannah, Mikaela, Monique or Britanni. But even though I like them, I can't really see anyone of them in the same light as Ann Ward (Cycle 15 winner) or Nicole Fox (Cycle 13 winner). It was very clear that Ann BELONGED in the world of high fashion and Vogue Italia. She just looks so exotic and photographs super well! I hate it when the judges kept using personality to critic her - hell, Versace said that they will book her, so take that! 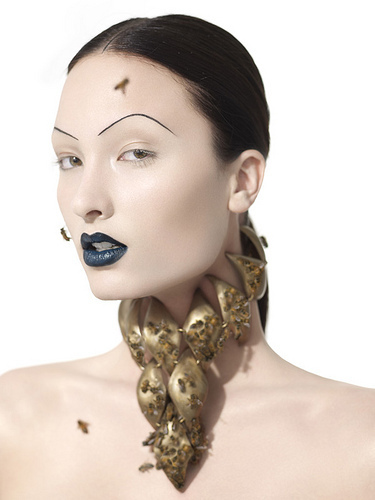 And I wished Nicole had joined ANTM later...imagine Nicole and Ann in the same cycle, that will be a real fight! Then again, Nicole is short (or rather, petite), so it's doubtful whether she will even make the first cut in a regular cycle. In this episode, the girls went through an acting class. Everyone found out that Ondrei just lost BOTH her brothers three months ago, one in a car crash and another was murdered. Seriously, I don't get how she can be here and still appear so calm. She should be in trauma! And should probably spend more time with her family, you know what I mean? 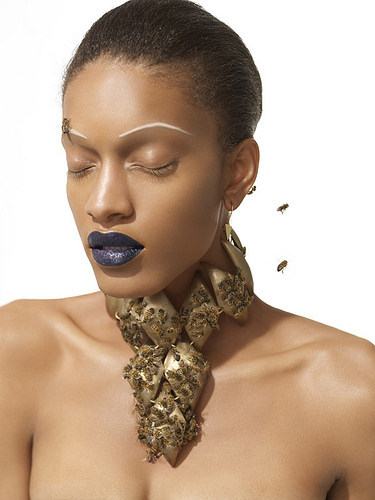 The photoshoot involved jewellery and bees. Erm wow. Beauty shots btw. 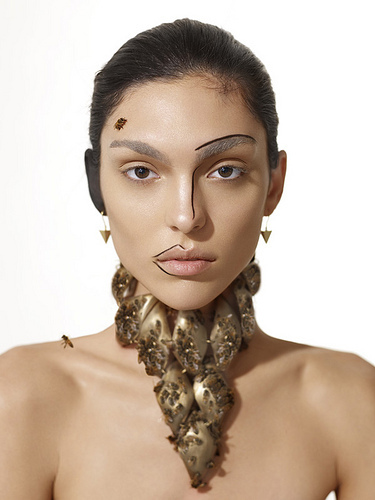 I think this is the worst beauty photoshoot in ANTM ever?! I don't remember feeling so appalled after a photoshoot! I don't get what's with the weird lines they draw on the face. It just looks...eewwww. During judging, Ondrei asked to be sent home. Because she realised after the acting class that she cannot handle being here and that she should go back to her family. Good choice! In fact, since she has appeared on national TV, she probably wouldn't find it so difficult to get back into the modelling scene, should some designers take a fancy to her look. However, she did not have the worst photo of the bunch. Hence, there was another elimination. Britanni - I prefer this, it's a really strong picture! Monique - okay this should be best picture! Mikaela - what weird lines! But she is really exotic! Alexandria - if the eyes weren't so dead, she would be called earlier! Molly - I don't know why this was called so late?! I was hoping that next week's photoshoot will be much better. However, photos leaked on the topmodel website suggests otherwise...it is on couture - sounds promising right? I just think the girls cannot deliver! Put Ann there, put Nicole there, and you will see sparks fly! Oh, and it is makeover week in Episode 3! I LOVE makeovers! I think my favourite makeover was Kayla (Cycle 15)'s hot red hair. It really elevated her to high fashion!